Doing The Flat, Yea Or Nay? That would be a flat NAY. I don’t do flats. Even my boots walk a height of no less than 2.5″, at the bare minimum. So, let’s not even get me started on my heels. As I once told someone, the height of my heels appears to escalate in tandem with my age. On that note though, I do hope it peaks at 40 because 5.75″ is about the max for me. Anything more and I may as well go with stilts. 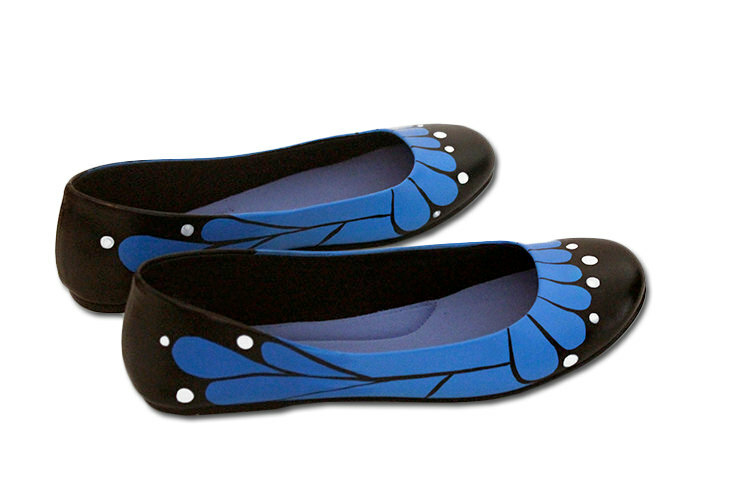 Here are some glorious flats I found while scouring the web. Blue Monarch Butterfly Flats from here. 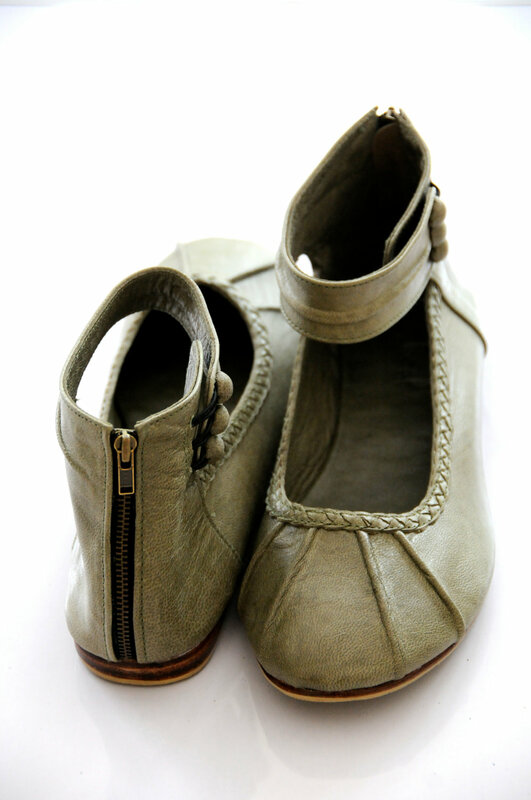 Muse Leather Ballet Flats in Olive from here. This store does have some wedged heels that I’m positively aching to get my hands on and feet in. I shall keep you posted on that! 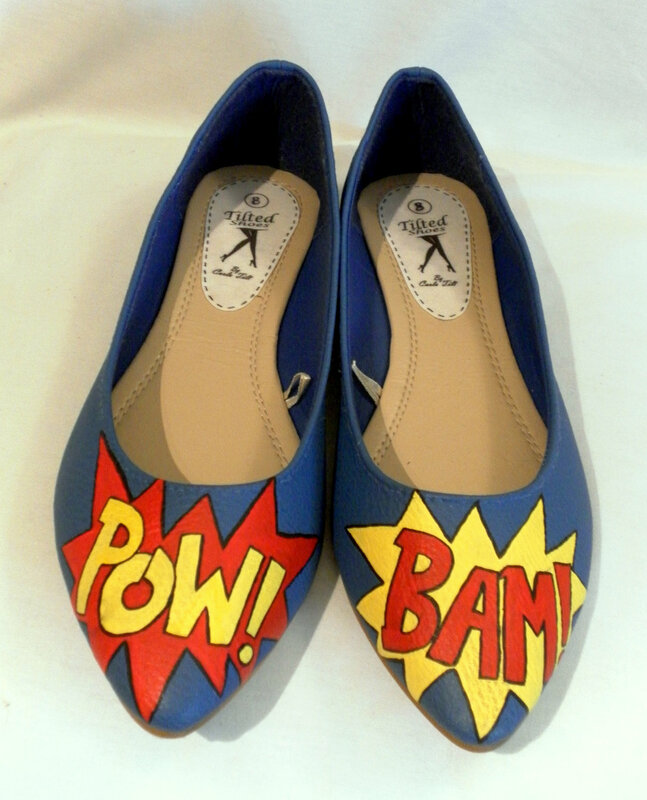 Hand-painted POW BAM Flats from here. 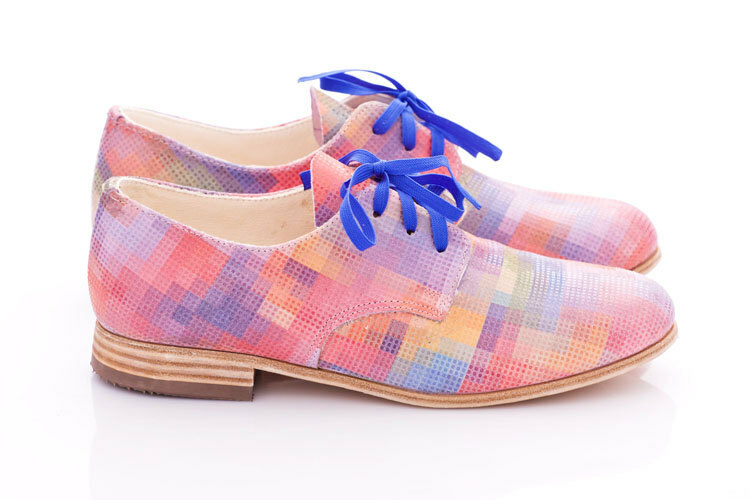 Pastel Pixel Leather Oxfords from here. Several chunky boots available too. 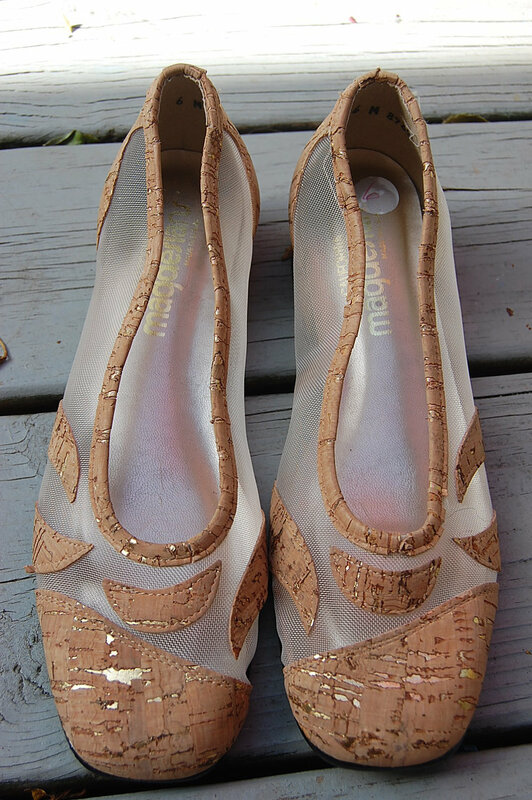 Vintage Cork & Mesh Flats from here. These are simply magnificent, why couldn’t they be heeled??? Rainbow Retro Flats from here. I feel like doing the jitterbug now. I do so wish these came in the kind of heel and/or boots I’m partial to, so I could strut loud and proud in them ~ maybe I could find some heels somewhere and stick them on. What say you? Are you a heel kinda woman (or dude) or you like being grounded? Hey, my friend, what a great collection you put together! I would have agreed with the no flat rule a year ago. However, 3/18/12 was the downfall to my heel days (at least for now). I tore my ACL while skiing, so I’m relegated to flats and low wedges for now. Believe me I drool over those lovely heels (especially those in your closet!!). Oh, the blasphemy of it all! lol! I’m glad to see you back at full/increased height! I’ll live vicariously through you until I can safely wear them for some period of time. I did recently try some out for the Portland Posh Meet Up, but was sitting most of the time and did not have to walk far. There is hope! !